UPDATE: Samsung has announced that it's permanentlydiscontinuing the Note 7. The company stated, "We recently readjusted the production volume for thorough investigation and quality control, but putting consumer safety as top priority, we have reached a final decision to halt production of Galaxy Note 7s. For the benefit of consumers' safety, we stopped sales and exchanges of the Galaxy Note 7 and have consequently decided to stop production." Samsung has had a lot of trouble with the Galaxy Note 7 since cases of it exploding hit the headlines. 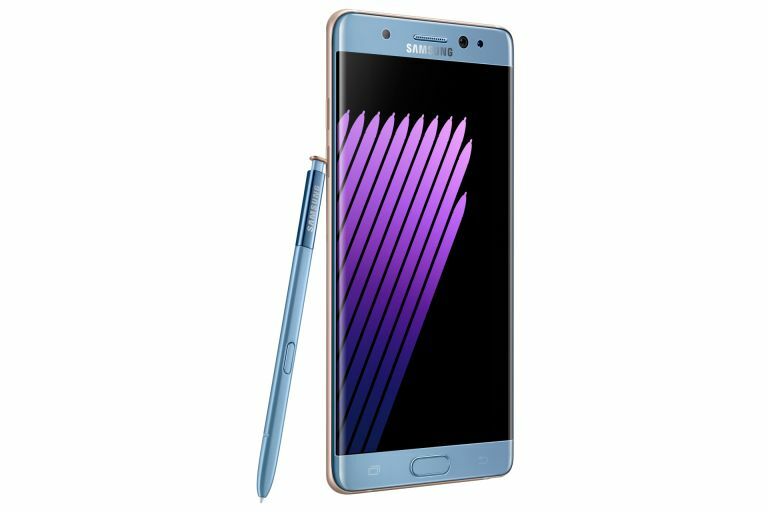 Now the company has released an official statement telling everyone in possession of a Note 7 to turn it off immediately. Samsung recently sent out replacement handsets to fix the problem of the battery catching light and even exploding. Since then many of those replacement phones have suffered the same fate - one during boarding of a flight. So Samsung has bitten the bullet and admitted that all the phones could potentially be risky. “We are working with relevant regulatory bodies to investigate the recently reported cases involving the Galaxy Note7. Because consumers' safety remains our top priority, Samsung will ask all carrier and retail partners globally to stop sales and exchanges of the Galaxy Note7 while the investigation is taking place. Despite replacing more than 2.5 million handsets in September it looks like the fault persists. As such Samsung has halted production all together while it seeks to find the source of the problem. US carriers had already decided to stop accepting the replacement handsets since they deemed them as dangerous as the first batch. We'll have to wait and see if the Note 7 can ever make a recovery and then all eyes will be on Samsung for the Galaxy S8 launch next year.